Cool in the pool, Hilton Brisbane. 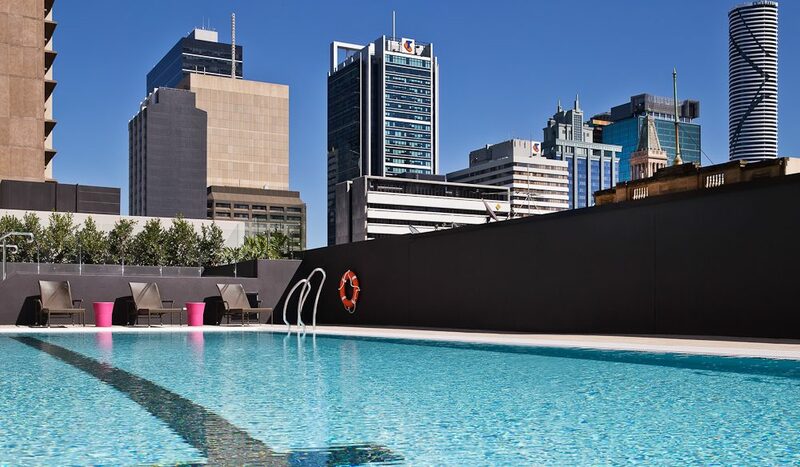 Modern Brisbane city thrives and throbs with a plethora of activities, but here are five reasons to ignore them all and stay in when you stay at Hilton Brisbane. When in Brisbane, eat as the Brisbanites. 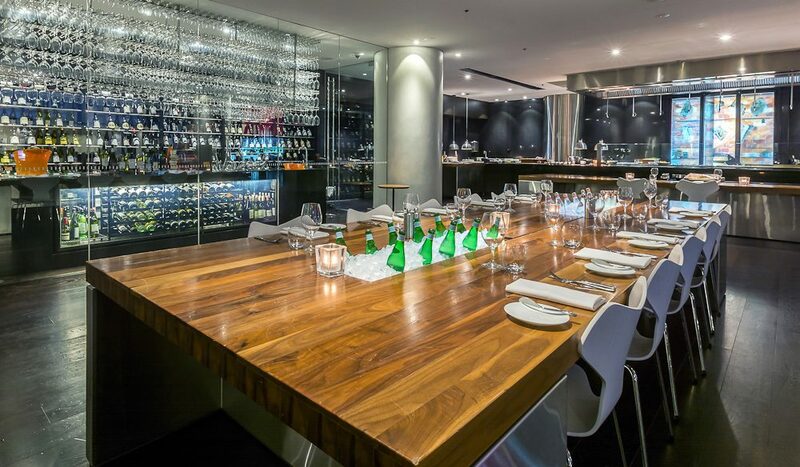 The Hilton’s award-winning Vintaged Bar + Grill is committed to sourcing its food and wine from boutique (and distinctly south-east Queensland) suppliers. The chef team handpicks the best produce available from local markets and farms each morning. 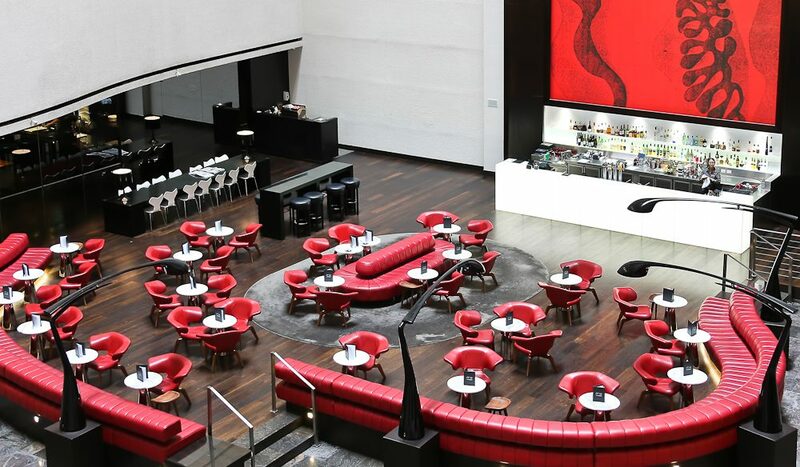 Fresh food demands fresh spaces, and the Hilton has a nice selection of contemporary dining areas set amidst the Harry Seidler-designed hotel Atrium. The Chef’s Table, in front of the custom-made grill and aged beef cabinet, can be used for your exclusive event, for up to nine people. When you’re out to impress, the Vintaged Private Dining Room – featuring designer furnishings and a soaring ceiling – is suitable for those special events or just a regular boardroom lunch. For a grape escape, the Hilton’s Wine Table allows you to arrange vino-focused events such as tastings and pairings. The purpose-built LED-lit ice well, which runs right down the middle of the table, is a great way to highlight your considered selection. Or fill it with beer, water or anything else you so desire. The Wine Room houses an impressive 1,000-strong bottle collection, covering around 120 labels, featuring a mix of Australian and premium drops from boutique wineries across Queensland and New Zealand. There aren’t too many quality many hotels in the world, let alone Australia, that let you play a set or two of tennis up on their rooftops. 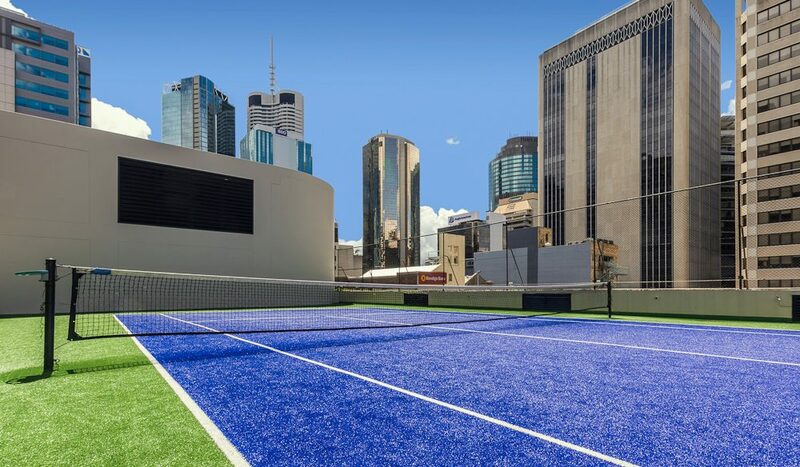 The Hilton features Brisbane CBD’s only tennis court with a serious view. If tennis isn’t your sport, then you can always do a personal workout in the hotel’s fitness room instead. The natural next step after a workout? A few laps in the new open-air pool (or maybe just simply float away your business day). The heated oasis is open all year round. For a thorough cool-down, a couple of complimentary beverages in the Executive Lounge will do the trick or perhaps just order some pool-side room service. If you need to get some work done or just want to hibernate for a while, the Hilton’s suites are all-encompassing hidey-holes par excellence. With distinct sleep and relaxation zones, which include a suitably large LCD television and “ergonomic work zone”, there’s very little reason to venture outside. The bathroom has you covered head to toe too, with luxurious bath sheets, bathrobes and slippers. In times of great hunger and thirst, the Executive Lounge is at your disposal (and breakfast is complimentary).